You've most definitely had French toast before, but have you ever had Hawaiian toast? What about German toast? Toast Hawaii is probably the more well-known of the two, and with ham, pineapple, and cheese, it can't miss! 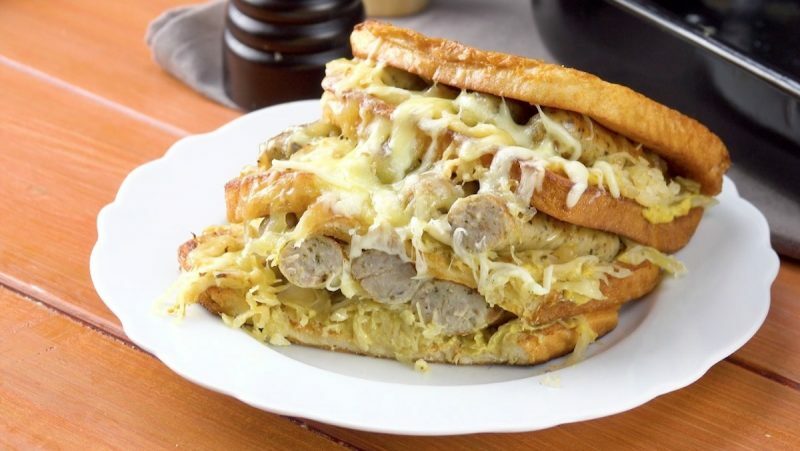 German toast, on the other hand, is better suited for the hearty brunch lovers amongst us, and thanks to sausage links, sauerkraut, and mustard, that's indeed what you'll get! Whichever dish you choose, you'll love the layered casserole presentation that will let you feed your whole family with one dish. 1.1 Preheat the oven to 325°F. Heat a pan on medium with a little oil or butter. Add the eggs, cream, salt, pepper, and paprika to a medium bowl and whisk together. Dunk each slice of bread in the egg mixture, soaking both sides. 1.2 Place each bread slice in the pan, one at a time, and cook on both sides until golden brown. 1.3 Layer each piece of toast with a slice of cheddar, a slice of ham, a slice of pineapple, and a second piece of cheddar. 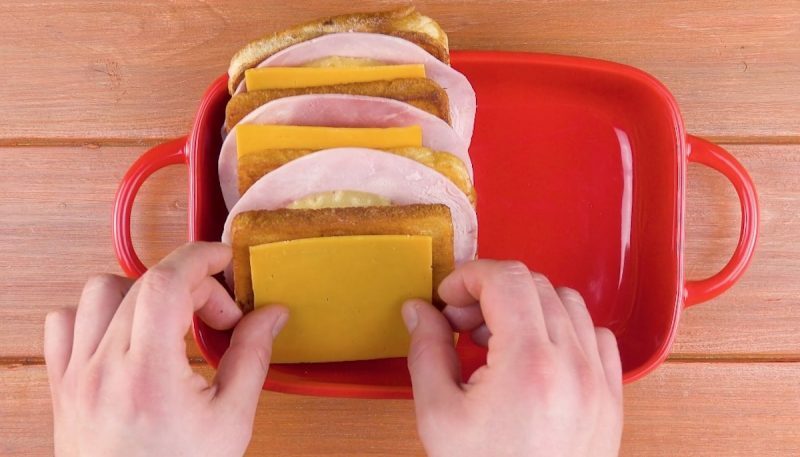 Repeat with the rest of the toast slices and place them in a casserole dish with 4 toast stacks on each side. Bake for 20 minutes. 2.1 Preheat the oven to 325°F. Heat a pan on medium with a little oil or butter. Add the eggs, cream, salt, pepper, and paprika to a medium bowl and whisk together. Dunk each slice of bread in the egg mixture, soaking both sides. 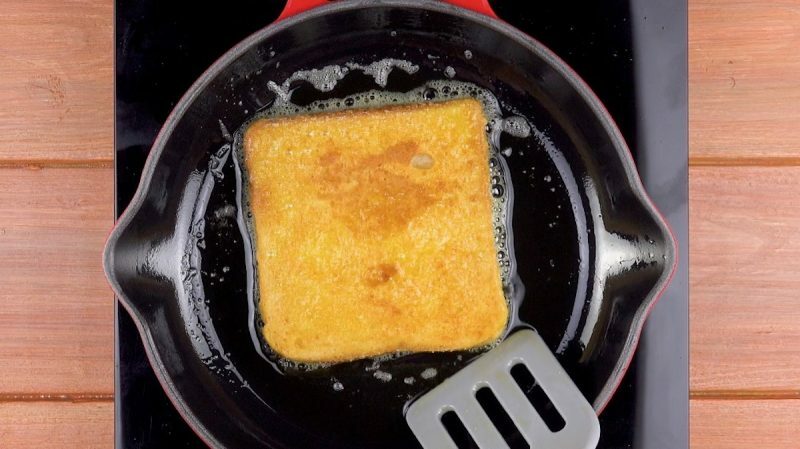 Place each bread slice in the pan, one at a time, and cook on both sides until golden brown. 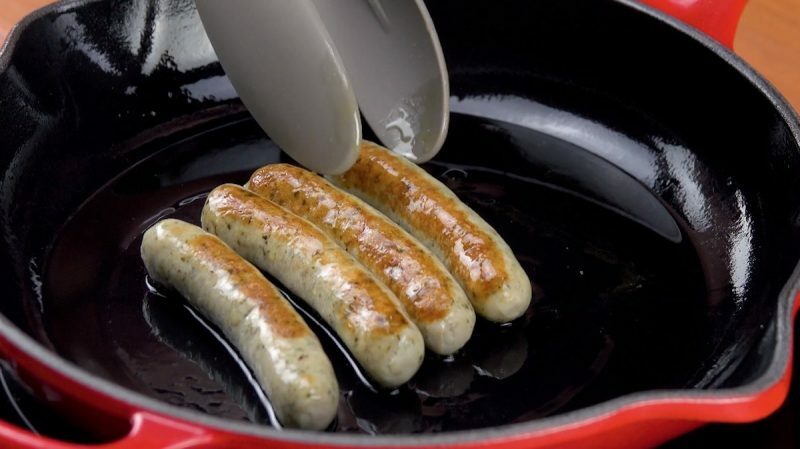 Then cook the 24 breakfast sausage links until golden brown. 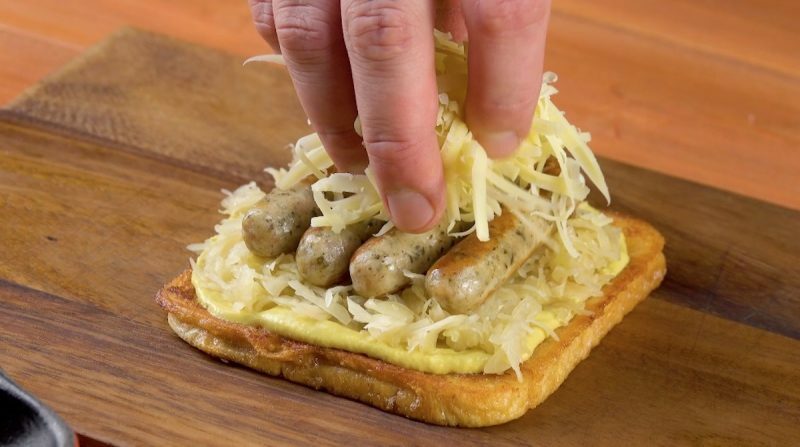 2.2 Brush each slice of toast with mustard, followed by a handful of sauerkraut, 4 sausages, and a small handful of Swiss cheese. 2.3 Repeat with the rest of the toast slices and place them in a casserole dish with 4 toast stacks on each side. Bake for 20 minutes. A taste of two different regions in the very same day – talk about a continental breakfast! You can find the recipe for the White Bread Quiche featured in the bonus video here.